There is something almost magical about Greece and, in particular, about the Cyclades: even in the heart of the toughest winter, you cannot have cold temperatures, strong winds or heavy rain for more than a (very) few days in a row. In this truly blessed corner of the Mediterranean with the mild climate, the sun will come out eventually and then, in the middle of December or February, an unexpectedly brilliant spring-like day will have you out in the balconies, streets or beaches, getting an equally unexpected suntan! 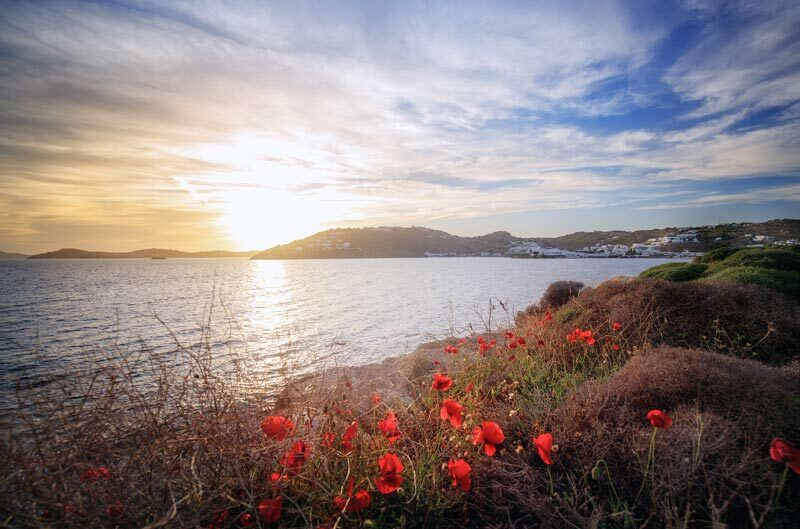 The only reason why December to February may not be the best time for a trip to Mykonos is because, during these 3 months, the island takes a short break to recover from the summer frenzy and prepare for the new season! 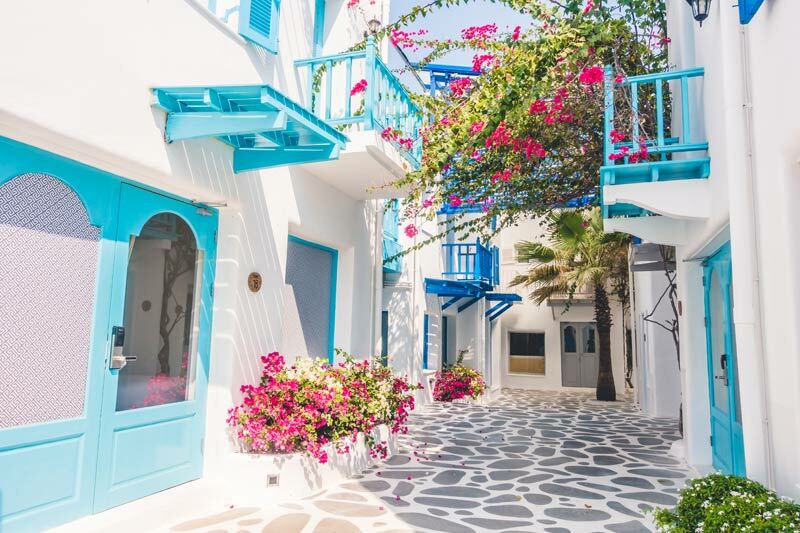 And then, all of a sudden, at mid-March, just as the days start growing bigger and bigger, Mykonos is back along with the sun and the first colors of the spring! In March the wind is still crispy but you can take long walks under the sun, watching the fishermen’s boats coming in after a long night’s sea trip. The blue color of the sky is unique at this time of the year. April is the time when you will love seeing old ladies painting their home yards white, while enjoying their coffee under the sun and taking care of their blooming flowers. Daytime now becomes busy like the bees! May is the time for a first swim in the deep blue waters, so crystal clear that you don’t need a mask to look at their hidden treasures. Usually May is also the month of Easter celebration and there is nothing more beautiful than following the long queue of locals, with lit candles in their hands, escorting the “epitaph” around the port. June is, for some, the ideal month for a holiday in Mykonos! Perfect weather, warmer seas, not yet overcrowded beaches and… the beat goes up! And then, after the July-August frenzy, autumn in Mykonos is like a refreshing balm on a sunburnt skin: stunning blue and grey skies, still warm and calm seas, relaxing days on the beach and quiet evenings. Till next year!